According to a report, 16% of US e-commerce orders were referred by affiliate marketing websites. Affiliate market is booming! It has become one of the four largest sources of e-commerce sales. Yet, a number of affiliate websites today have no real ambition. 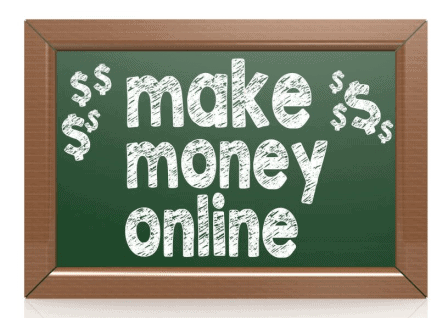 A lot of them are only designed to generate affiliate commissions by overselling without distinction. No wonder such sites fall off the radar and vanish within a few months. Affiliates that have been able to gain success over the internet have focused on their product reviews and delivered significant value in order to build a great real audience. Here is a list of 4 such successful affiliate websites for you to learn from. Being a review site for financial products, nerd wallet covers everything such as credit cards, mortgages, insurance, and investments. They have an amazing user interface, a brilliant marketing team, and great content. They have become the gold standard for affiliate sites in the last few years. Operating in a highly competitive market, they aim to help people pick the best loans, insurance and credit cards, etc. Nerd Wallet keeps its key pages updated and SEO is also a major part of its strategy. A site of 7 pages offering productive affiliate programs, Em is dedicated to comparing Ontraport and Infusionsoft. Infusionsoft offers recurring revenue of around $75 a month per sale, while Ontraport offers a payout of nearly $1000. EM has operated cleverly by picking out the most wanted products in their niche and comparing them since they know that people have a difficult time choosing which one of the two to buy. They even offer support, so you can have a chat with them too. Imagine how high their commission is that they have been able to invest into support and treating the product like it is their own! Comparing products is a good way to attain more traffic from low competition keywords. Before becoming a mainstream affiliate website, PC part picker was just shared on Reddit. It began as a hobby as it used to list parts of a PC on Amazon. PC Parts Picker offers an incredible tool to assist you in finding the best parts for your computer. They are experts who help the readers add the latest parts into their computers. By offering a comprehensive tool for comparison, they have made things faster, easier, and cheaper for people. They make money through travel and credit card affiliate programs, and are mostly concentrating on credit cards to help people get travel rewards. Put the favorite products of people right in the center and front. If you are looking to start an affiliate marketing program for your business, get in touch with LeadDyno now. We offer the top affiliate programs to manage your affiliates.